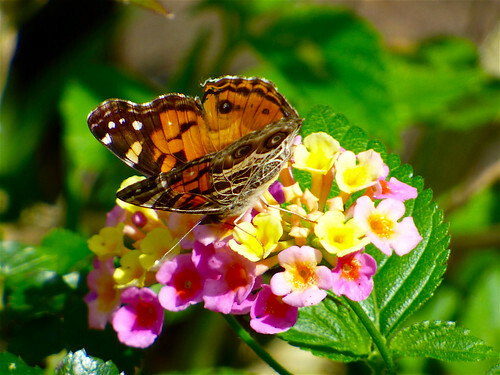 A Paintede Lady Vanessa carduii on Lantana in my garden. Houston, Texas. Mar. 2019.